Since 11 August 2017, heavy monsoon rains have caused intense flooding across more than one third of Bangladesh. India and Nepal have also witnessed unprecedented flooding. Latest figures show over 1,200 people have been killed, 1 million+ are displaced and 41 million are affected. Aid workers warn of severe food shortages, and water-borne diseases. Many of the communities we support across Dinajpur, have been greatly affected. 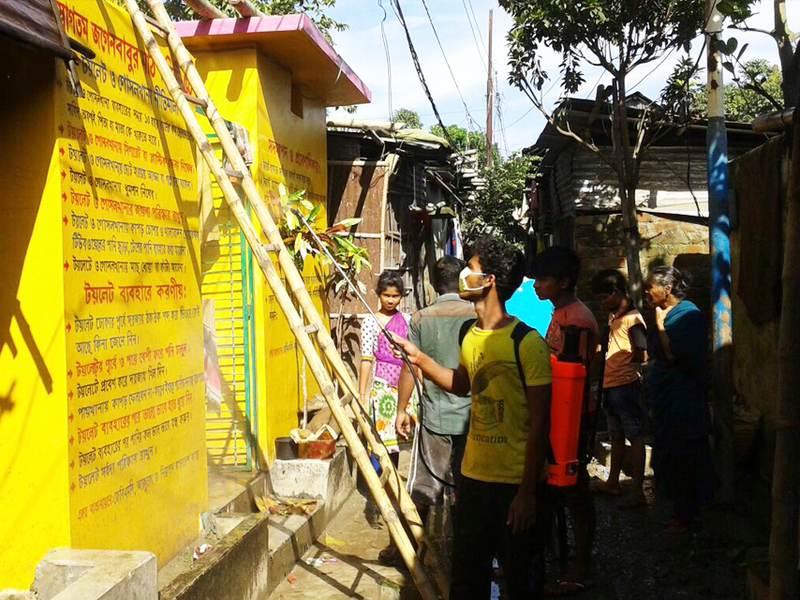 In particular, Jogen Babu Maath slum. The community was evacuated to a local school, as flood waters reached 7ft. Over the past couple of weeks waters have receded, leaving behind a wake of devastation. Debris lines the streets, earthen paths are mixed with sewerage, septic tanks are full leaving no usable toilets, and the tubewells are contaminated. In JBM slum there are currently only a few working toilets - the majority of septic tanks and soakaways have been flooded. We have now emptied, disinfected and opened the sanitation and shower facility. This will remain open to the community, with no membership fee, during August and September. More rain is forecast, and the situation could deteriorate. We will be working with the Asia Arsenic Network (AAN), to assess water sources over the remaining monsoon period.